Ramirez Guitars is giving away a trip for 2 to Madrid, Spain! Click here for more details and to enter to win! We just returned from the annual MIAC trade show in Toronto. 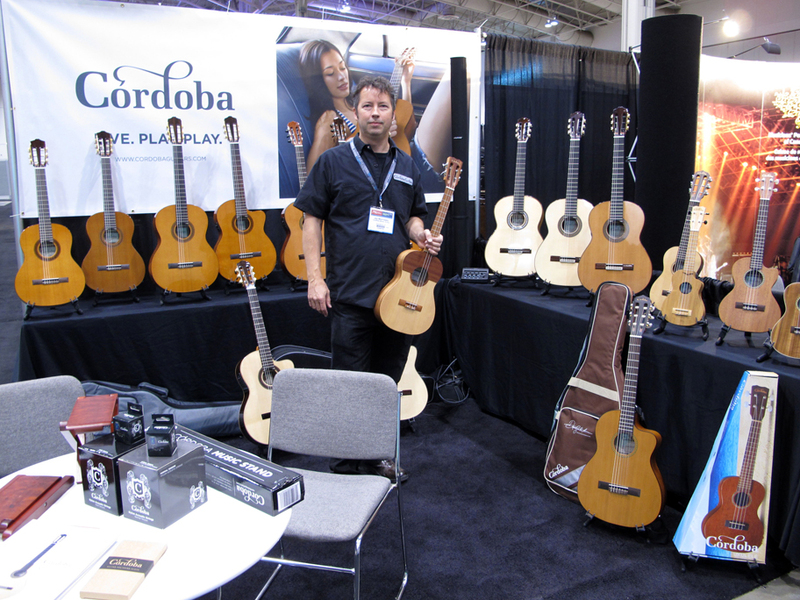 It was Cordoba’s first time exhibiting in Canada and we’re excited to participate again in the years to come. 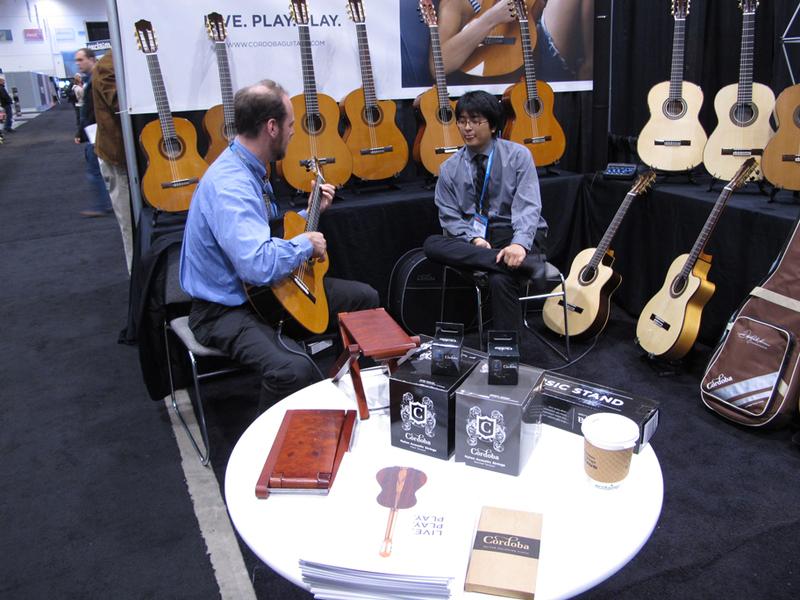 We brought with us some of the new models that we released in 2011 (including the Orchestra CE, the 12 Natural, GK Studio Negra and the Cuatro) and we’d like to thank everyone who stopped by for the amazing response and feedback that we received at the show. Now available for download is the new Cordoba Consumer Price List! Many dealers in our dealer network expressed a need for a price list that is read-able and suited for consumers – and here it is: Click to Download! 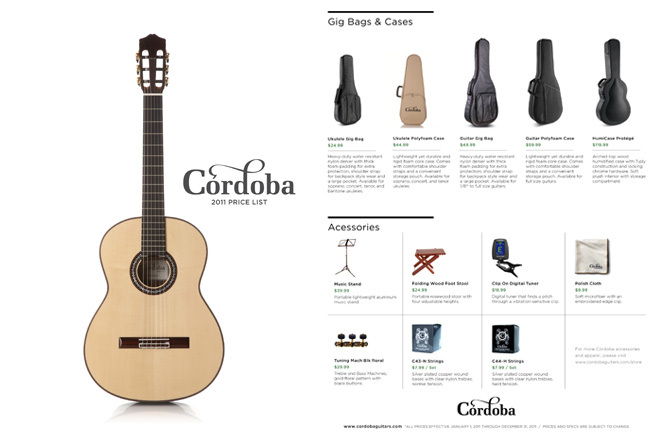 Learn the differences about each Cordoba series and see what differentiates the models from each other by taking a look at our easy-to-read and easy-to-compare formatting. This is a great, free tool that will benefits your customers and your sales force. To request complimentary hard copies, please contact your Regional Sales Managers. As the official USA distributor of Ramirez Guitars, CMG helps ensure the brand’s stateside equity continues to grow. CMS recently launched the official Ramirez Guitars site for the US territory at RamirezGuitars.us. The new site features all of the current guitar models from the legendary guitar brand, the latest news about the company, plus an exclusive dealer search for official Ramirez dealers! National Sales Manager Dave Hager caught up with the guys from Premier Guitar at this June’s Summer NAMM to talk about some of Cordoba’s new models. Check out the video below.